Enterprise-class Email, Calendars, Contacts, Tasks, Chat, and More The award-winning messaging and collaboration solution, Kerio Connect, meets the needs of small and mid-sized business. It offers unmatched deployment flexibility and broad mobile device support. 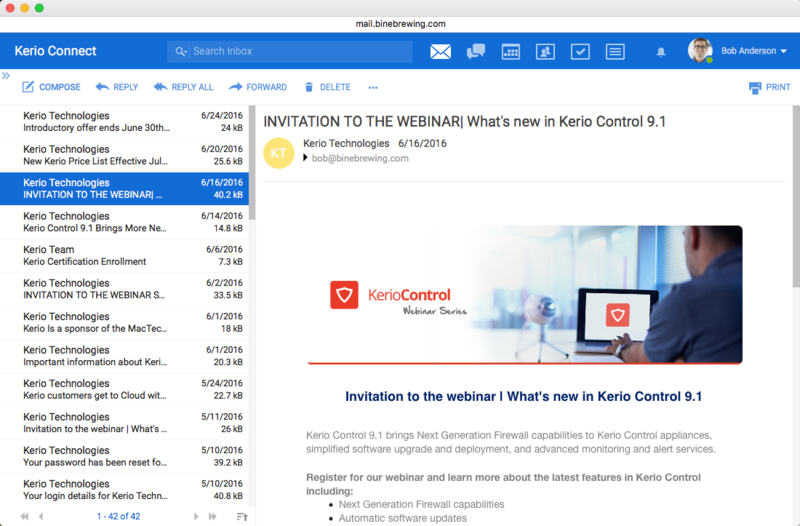 Business users enjoy support for their favorite email client and Kerio Connect Client via their favorite web browser. Kerio Connect is stable -- so you can focus on your business rather than unexpected downtime and recovery. Deployment and administration are simple by design. With low licensing, service and hardware costs, Kerio Connect delivers measurable business value over other offerings. Kerio Connect is an award-winning, messaging and collaboration solution, that meets the needs of small and mid-sized businesses by offering a robust feature lineup. Instant messaging with Kerio Connect is flexible. It is built in to the Kerio Connect Client and also supports all XMPP chat clients. Offer your users smooth and seamless support for their mobile device of choice. 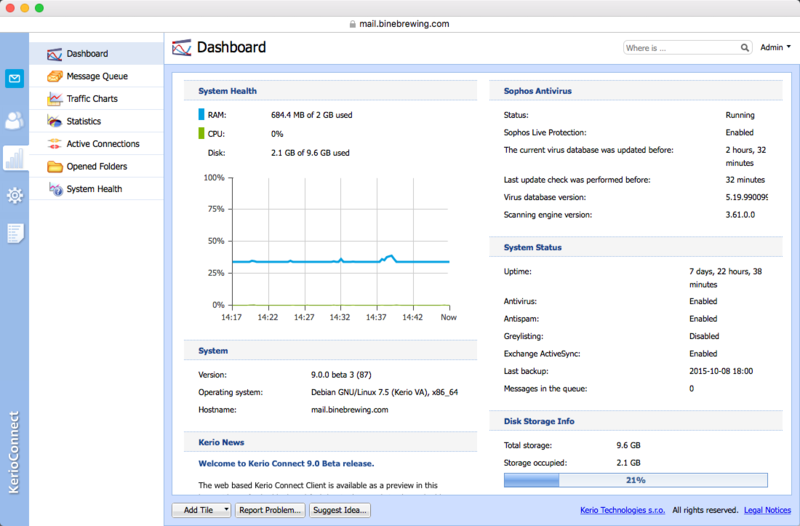 Administer email, calendaring and other critical functionality easily and efficiently. Protect email users and your network with powerful integrated security features. 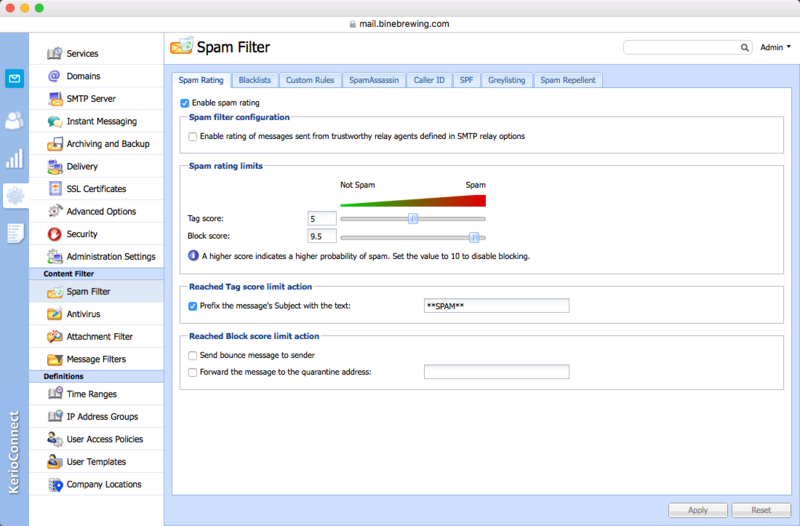 Kerio Connect includes multiple layers of mail filtering and protection to keep users safe from malicious emails and inbox cluttering spam. Kerio Connect is available as a hosted solution (Kerio Cloud) providing a reliable and scalable business communication platform in a high-performing secure cloud environment. If you'd like to have a chat with us about Kerio Connect, please select this option. If you'd prefer to email or phone us, our details are also here.